Welcome to the Côte d’Azur ladies and gentlemen! 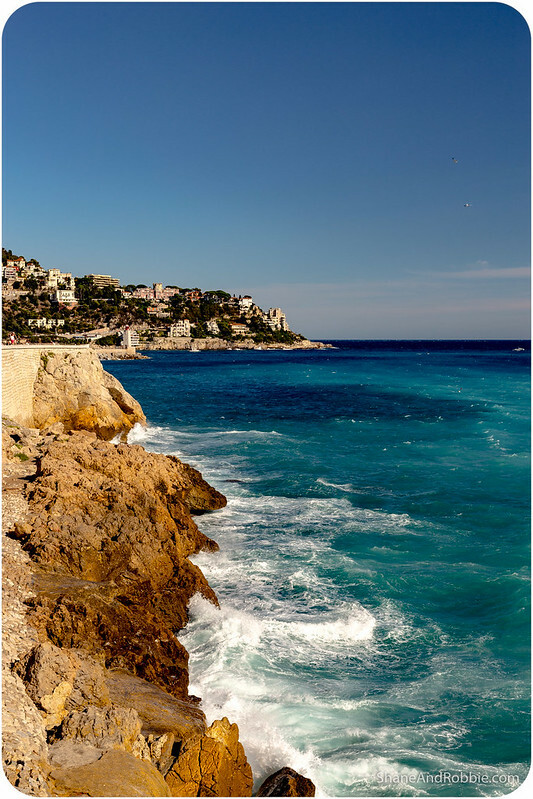 Also known as the French Riviera, this stunning slice of Mediterranean coastline is very aptly named given the impossibly blue water of the sea hereabouts. 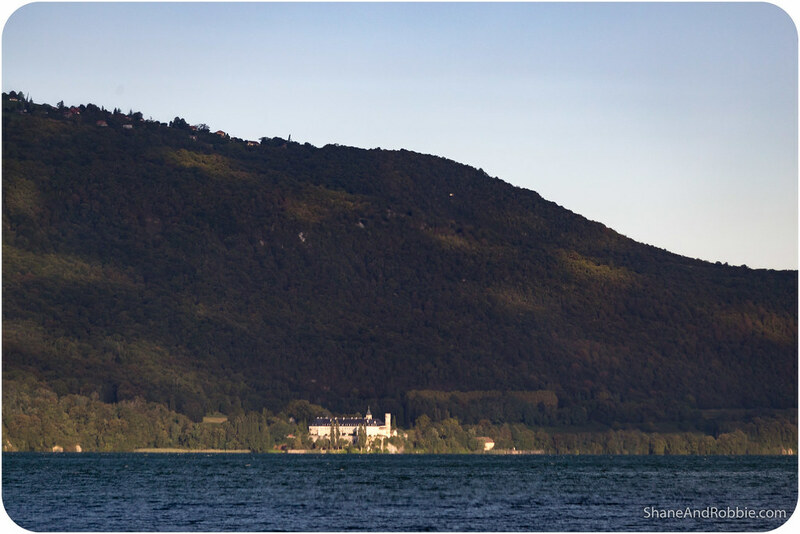 This is the summer holiday destination of the rich and famous; this is where the glitterati and the infamous illuminati hang out. And for the next few days it’s also where we, the poverati (by comparison at least), are going to be residing too. 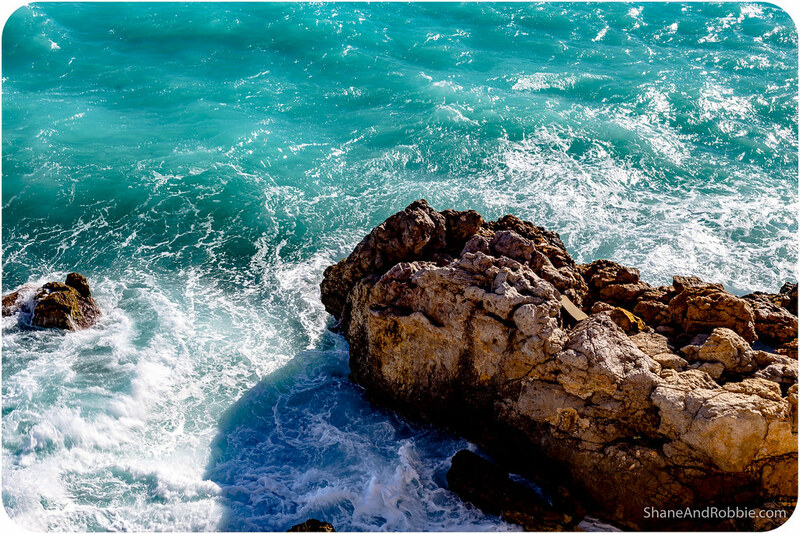 Expensive, over-run by tourists, and full of show-offs and tossers it may be, but have you ever seen water so blue?! We arrived on the Côte d’Azur this afternoon after a long day’s travel from Annecy. We almost didn’t make it though, as we got on the wrong train this morning and almost ended up at the other end of the country! Let’s blame the early start and say we weren’t quite awake yet… Luckily the conductor made an announcement just as the train doors were about to close, listing the train’s destinations and we quickly realised our mistake. You’ve never seen 2 half-asleep morons move so quickly! We were off that train, with our bags in tow, in 5 seconds flat! Our actual train was just on the next platform and we managed to get on to correct train quick enough not to miss it, but, man, lesson learned: make sure you’re awake and have checked the destination before getting on a train! The rest of the day’s travel was blissfully uneventful by comparison; comfortable and easy, with a pretty good view to boot. 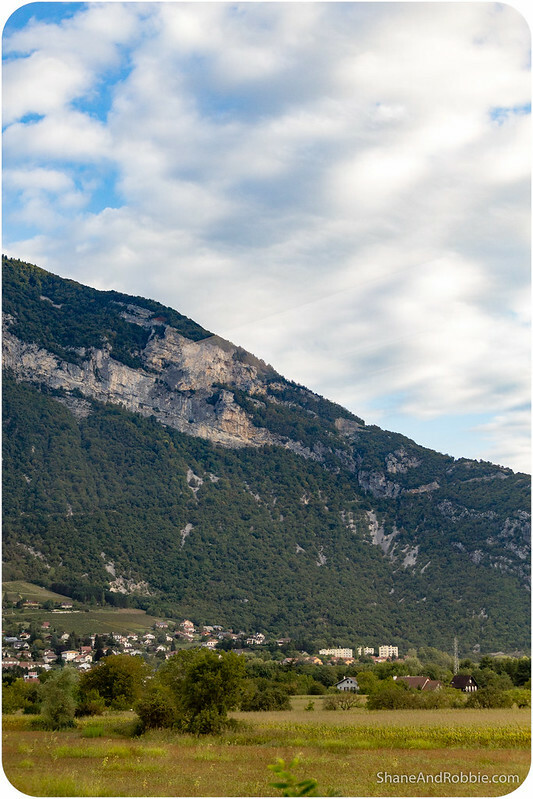 Travelling down through the mountains of Haute-Savoie we watched the hills and alpine lakes gave way to fields and meadows. 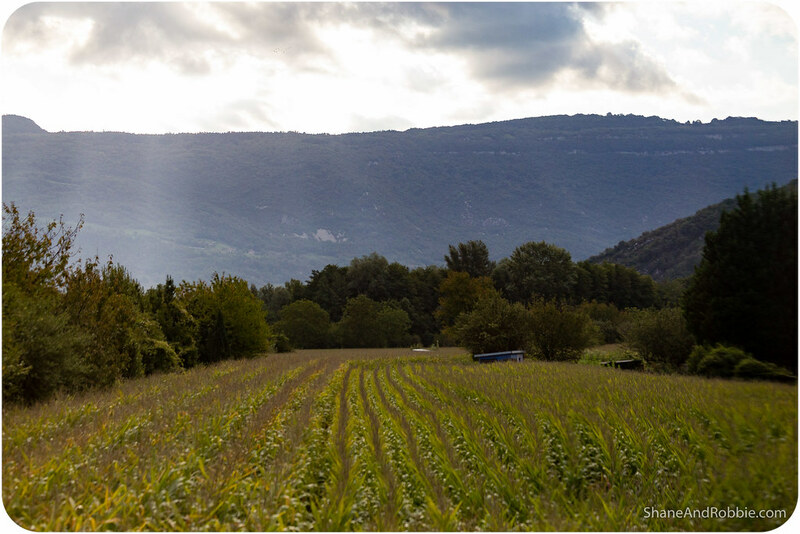 Eventually the landscape changed completely, the ground turning dry and rocky, and the forests of the French highlands replaced with groves of olive trees and pines. 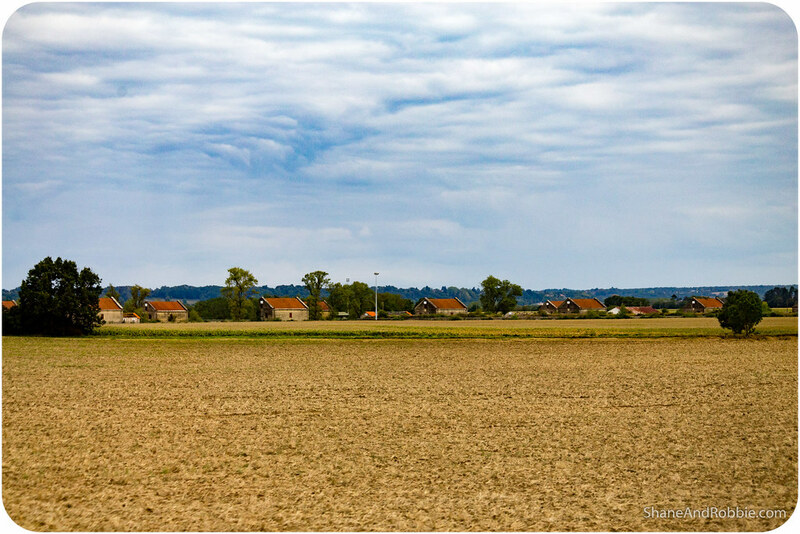 We had arrived in Southern France! 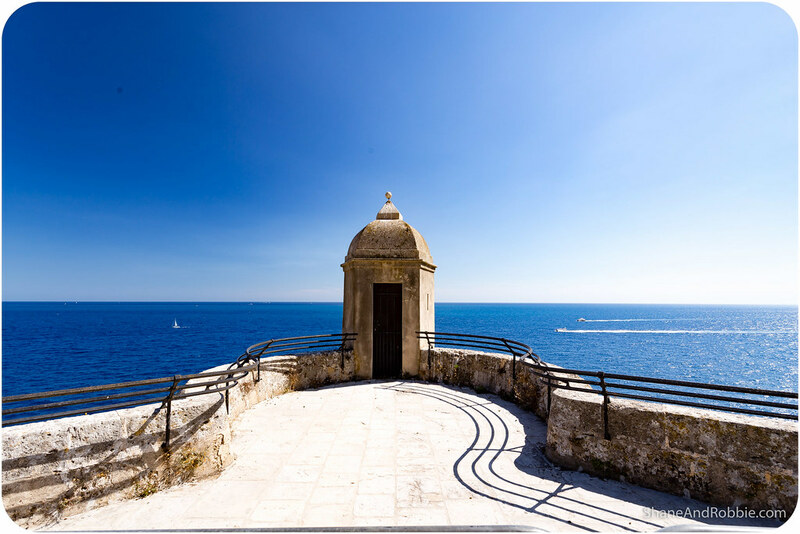 Reminiscent of Italy, Greece, and Turkey, the scenery along the Côte d’Azur is delightful. 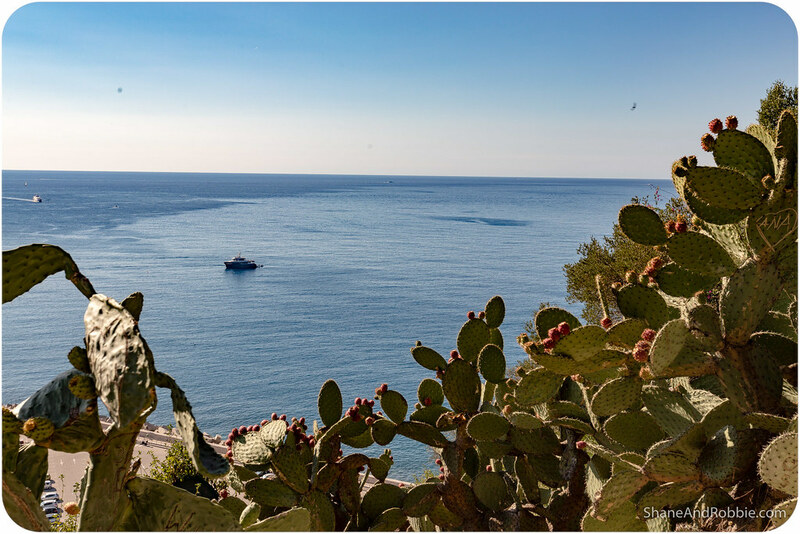 This 120km long strip of coastline extends from the Italian border in the East to Marseilles in the West. 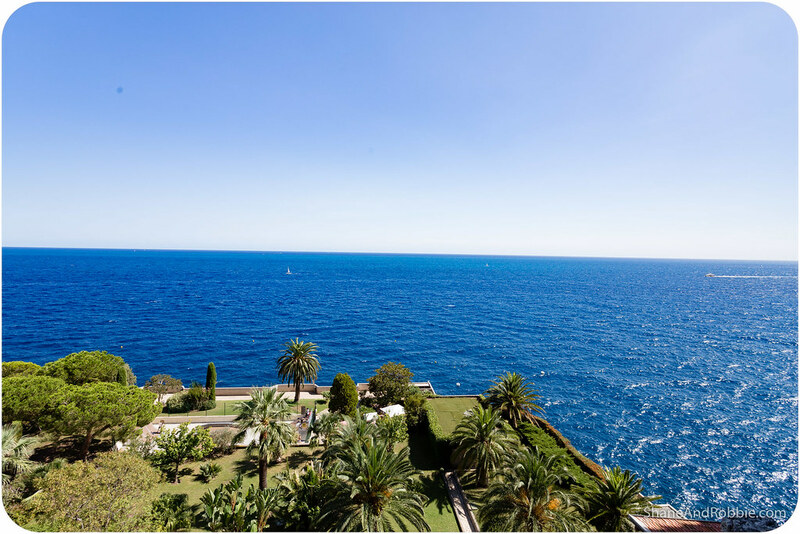 It’s one of the most famous beach destinations in the world and includes renowned seaside resort towns such as Nice, Antibes, Cannes, and Saint Tropez. Of all the exclusive enclaves and expensive resorts, it’s Monaco that attracts the most ostentatious crowd – as we found out this afternoon! 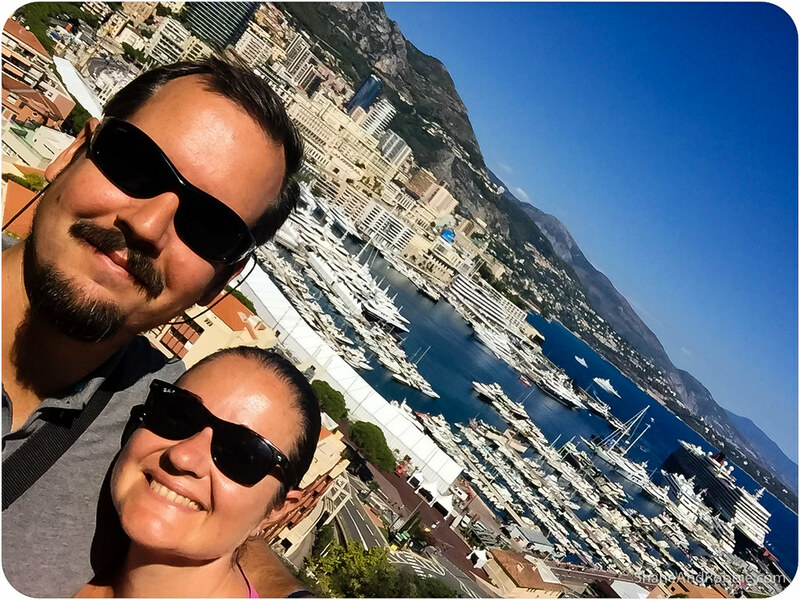 We’re staying in Nice whilst we’re here in the French Riviera, but decided to take full advantage of the warm, sunny weather and head out to Monaco for the afternoon after dropping our bags off. 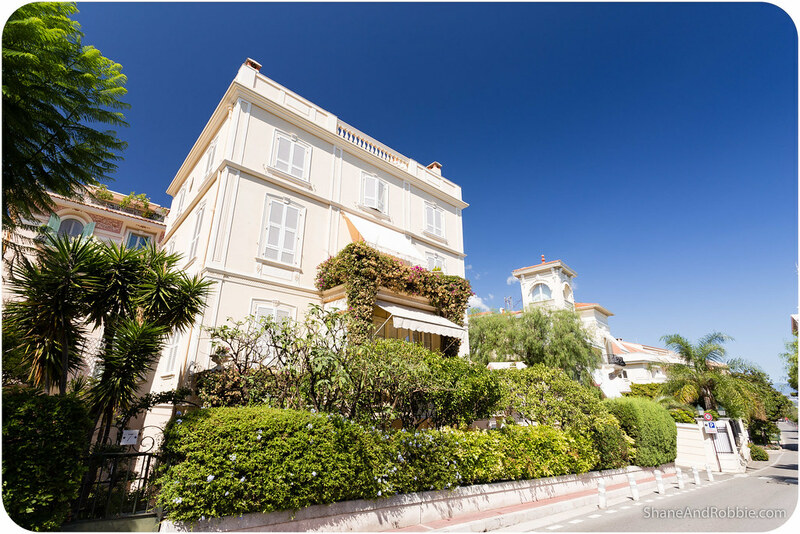 Just 20 minutes by train from Nice, this teeny tiny sovereign state* is nestled on the Mediterranean coast, surrounded by France. It is well known for its Grand Prix, its casino, its royal family, and for being a playground for the rich and famous. 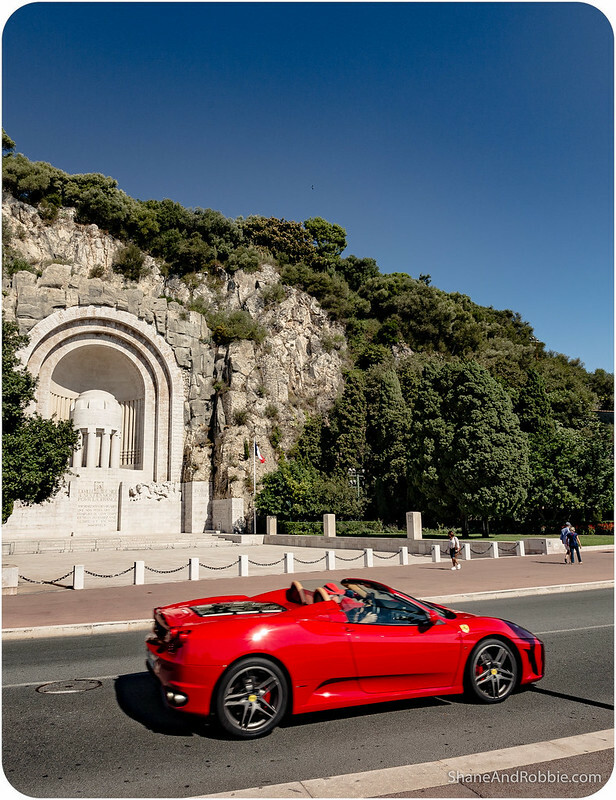 Monaco boasts the world’s highest GDP per capita, the world’s lowest poverty rate, and the highest number of millionaires and billionaires (about 30% percent of the population, in case you’re wondering). It has the world’s most expensive real estate market and happens to be a tax haven. But is it as glitzy and glamorous as the movies make it out to be? Well….YES! 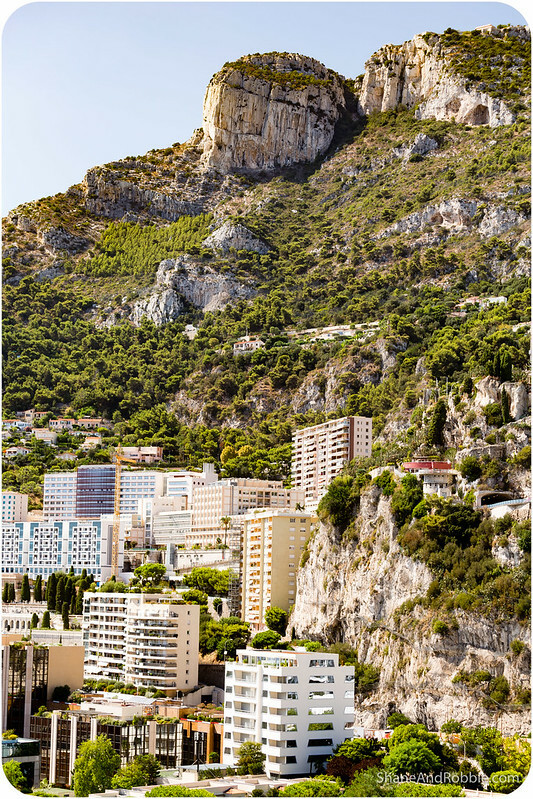 *Monaco is the second smallest and most densely populated country in the world – only the Vatican is smaller. Its total area is just 2.02 square kilometres and its population around 36,500. The number of flashy sports cars driving around and the dearth of super-yachts moored in the main marina spelt it out pretty clearly. Add to that lots of high-end boutiques and hordes of very well dressed people strolling through the streets, and you get the idea. Let’s just say it was obvious we were just day trippers, just visiting for the day and peering through the glass at a world so far removed from our own that it might as well be a movie! Monaco is a constitutional monarchy, with Prince Albert II as the current head of state. Prince Albert is one of a long line of rulers from the House of Grimaldi, who have ruled Monaco since 1297 (despite a few attempts by the Kingdom to Aragon, the Republic of Genoa, the Kingdom of Sardinia, France and Italy to incorporate this small nation into their boundaries). It was Prince Albert’s father, Prince Rainier III, that famously married the actress Grace Kelly*; the event was widely televised and focussed the world’s attention on the tiny principality. 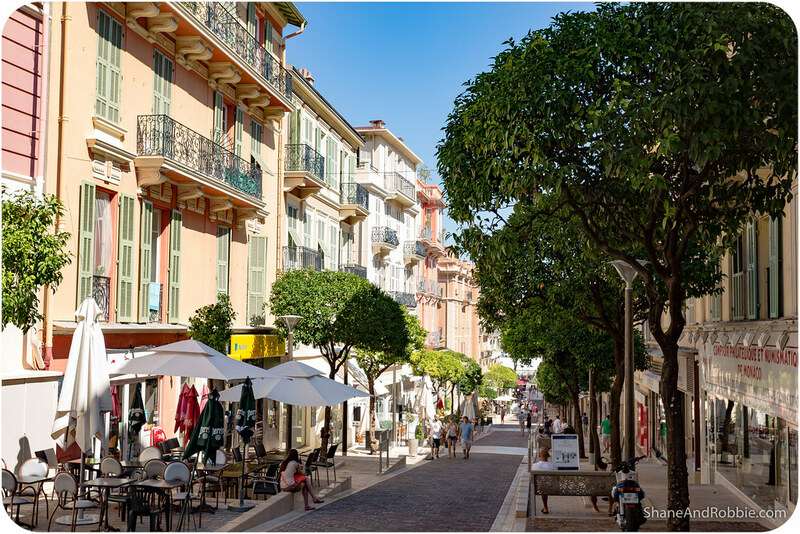 *The narrow, winding road where Princess Grace died in 1982 is between Nice and Monaco. Economic development in Monaco was spurred in the late 19th century with the opening of the country’s famous Monte Carlo casino and a railway connection to Paris. 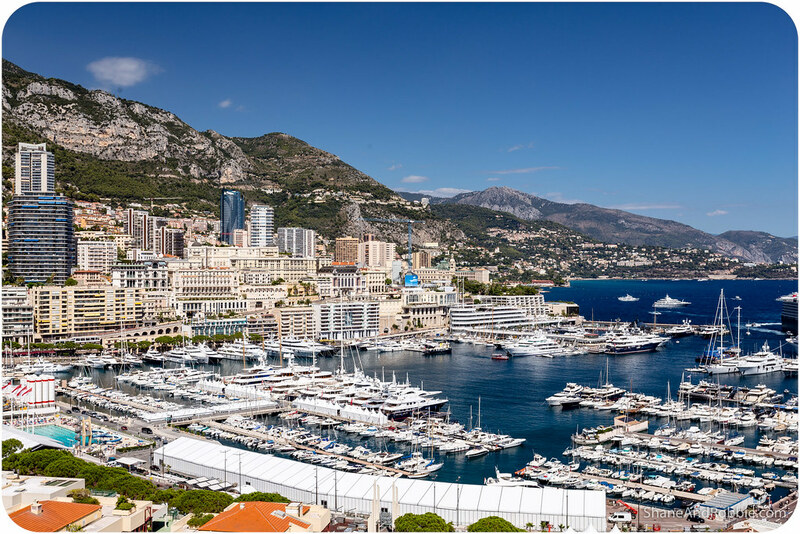 Since then, Monaco’s mild climate, splendid scenery, and upscale gambling facilities have contributed to the principality’s status as a premier tourist destination and recreation centre for the uber-wealthy. 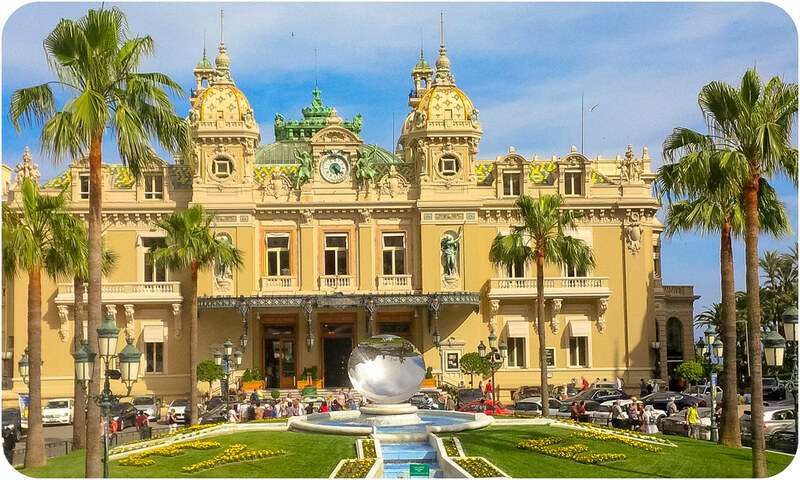 Top of the list of “fun activities” to engage in whilst in Monaco is, of course, trying your luck at the Casino de Monte Carlo. The idea of opening a casino in Monaco came from Princess Caroline, the shrewd, business-minded spouse of Prince Florestan I. Revenues from the venture saved the House of Grimaldi from bankruptcy, returning sizeable profits not long after its opening in 1863. 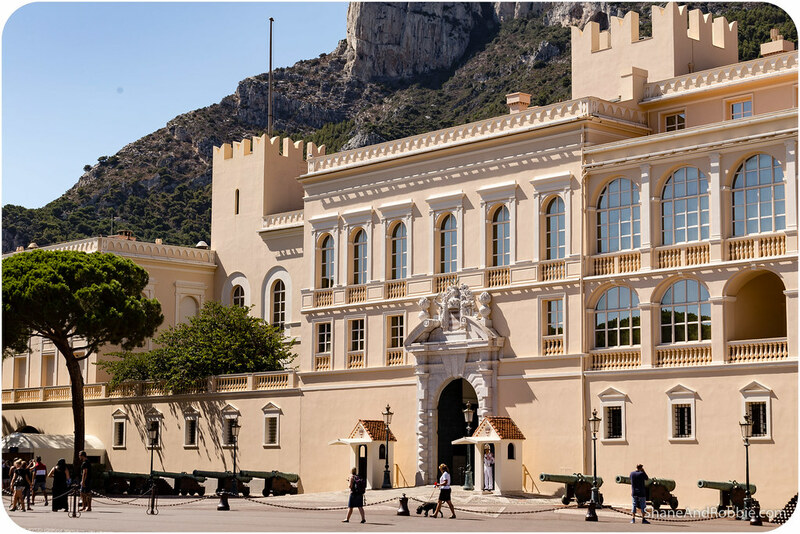 Interestingly the Casino de Monte Carlo is still owned and operated by the ruling family, but citizens of Monaco are forbidden to enter the gaming rooms of the casino. We didn’t even get to enter the casino to gawk at its opulent interior – we were waaaaaay too under-dressed for them to let us through the door! As well as the casino we also got to see the Prince’s Palace of Monaco (also from the outside only). 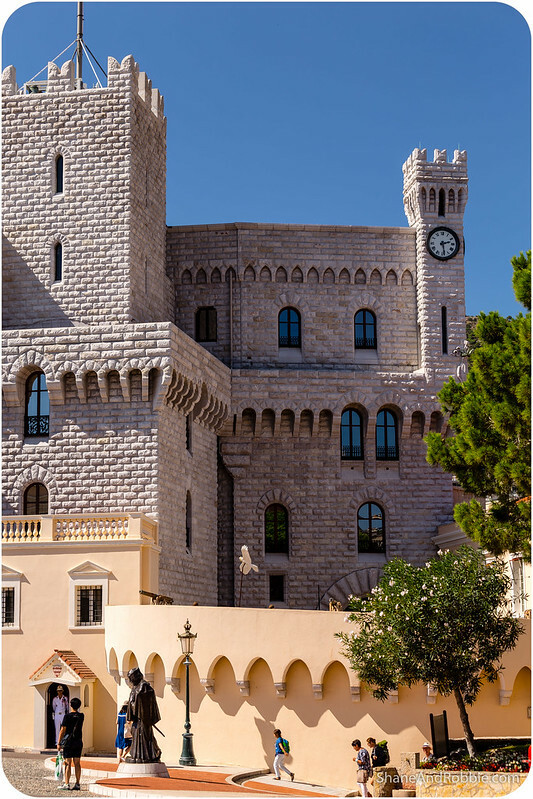 This is the official residence of the Prince of Monaco and sits perched high on a hill overlooking the main harbour. 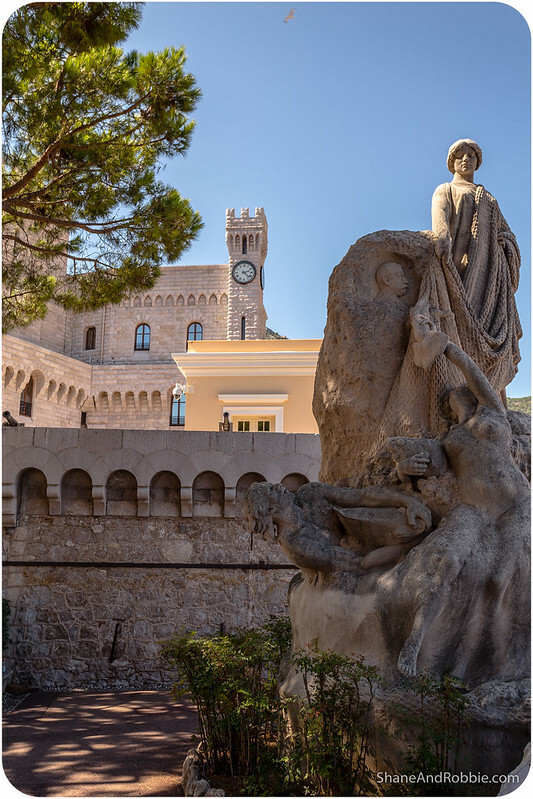 Built in 1191 as a Genoese fortress, the palace has been bombarded and besieged by many foreign powers during its long and often dramatic history. 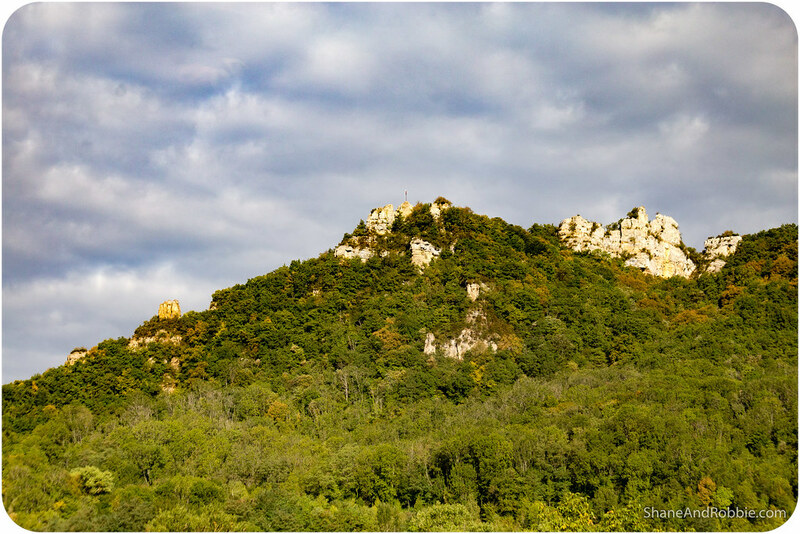 Since the end of the 13th century, however, it has been the stronghold and home of the Grimaldi family. Below the palace are public gardens and a small amphitheatre that we got to wander through (along with a few thousand other visitors, newly arrived in port via cruise ship). 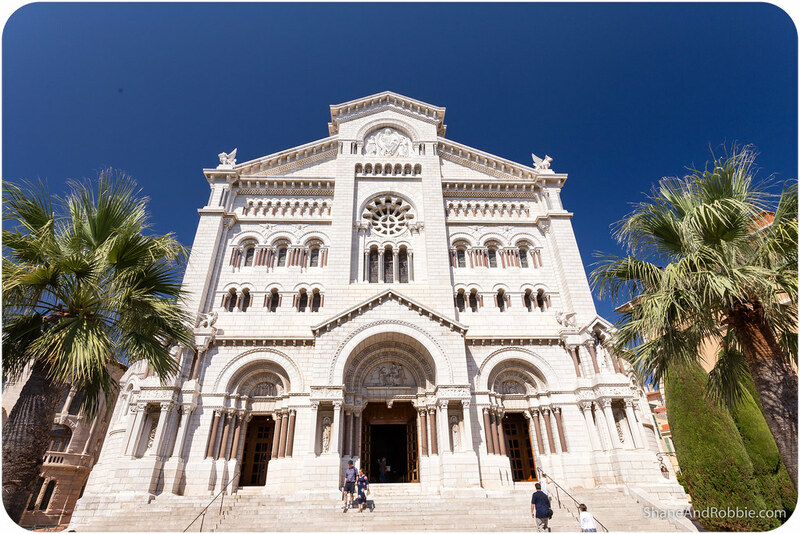 Further down the hill, towards the heart of the oldest part of town, was the Cathédrale de Monaco, where many of the Grimaldis were buried, including Grace Kelly and Prince Rainier III. Our final stop for the afternoon, before we caught the train back to Nice, was the marina. 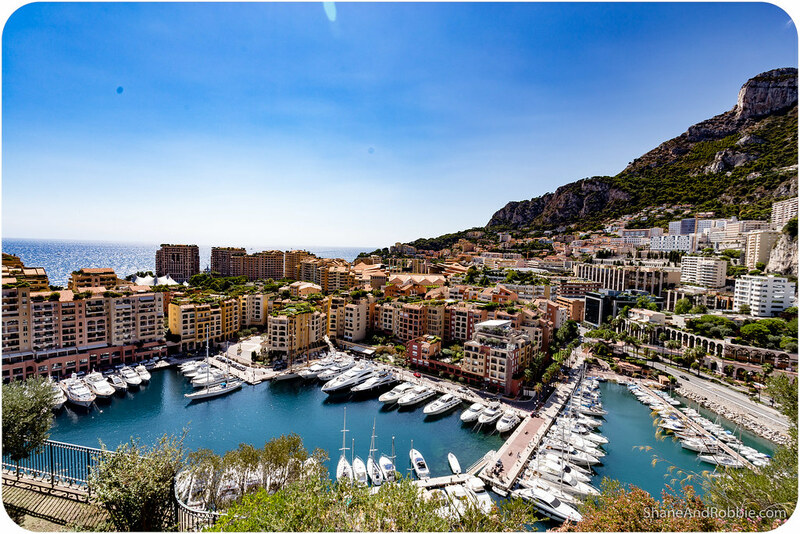 Home to more super-yachts that we knew existed*, the Monaco harbour is dazzling. The colour and clarity of the water is incredible, and the stark, craggy hills behind the town are breathtaking. 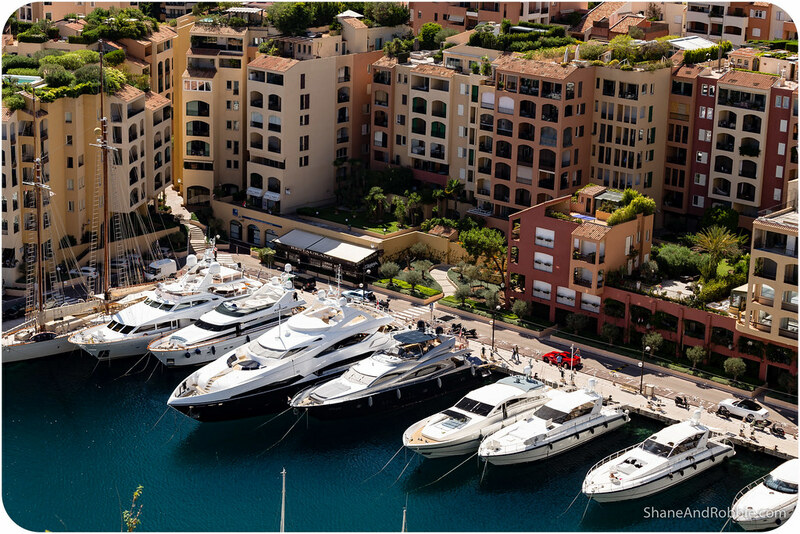 *The French Riviera is a major destination for boaters. 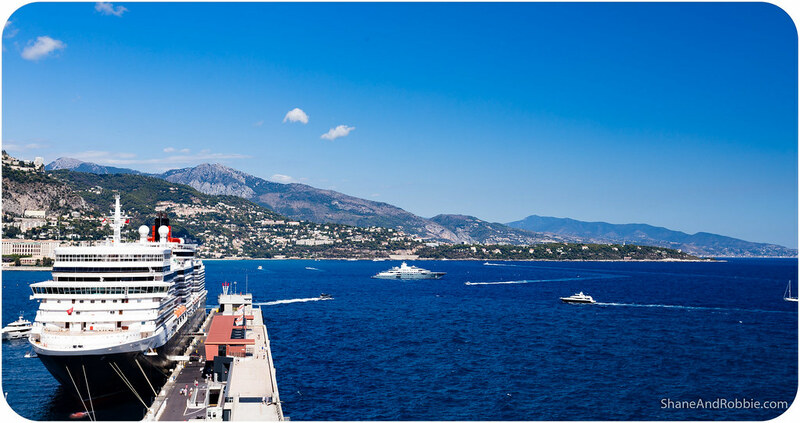 Each year the Riviera hosts at least 50% of the world’s super-yachts! We’re back in Nice now, where the mix of people is a little more balanced – sure, there’s still a lot of bling around and fashionistas reign supreme, but at least there’s a few “normal” people around too! Monaco is in a beautiful spot, and the town itself is very pretty, but visiting it was quite surreal. The amount of wealth on display everywhere was almost obscene, and the amount of time, effort, and money people seem to put into looking so “fabulous”, well, it just seems a tad ridiculous really. Each to their own though hey? We certainly won’t be rushing back there – there are way too many other fun, cheaper places in the world to explore!